Labrador retrievers beat out German shepherds to continue their reign as the most popular dog breed in the country according to the American Kennel Club. The American Kennel Club has some good news for Sunny, TODAY's puppy with a purpose. Labradors are still the best! For the 27th straight year, the nation's largest purebred dog registry has ranked Labradors as the most popular breed in the country. "The Labrador Retriever has its paws firmly planted in Americans’ hearts," AKC Executive Secretary Gina DiNardo said in a news release. "It’s such a versatile and family friendly breed." The Labrador's temperament, aptitude for dog sports and popularity as K-9 partners, service dogs and therapy dogs were cited by the AKC for its continued reign at the top. Plus, as fans of Sunny and former TODAY puppies Wrangler and Charlie already know, they're also pretty darn cute! Charlie is now a service dog for a disabled military veteran, while Wrangler serves in the K-9 unit for the Connecticut State Police, illustrating those desirable qualities that have kept Labradors ranked at the top. 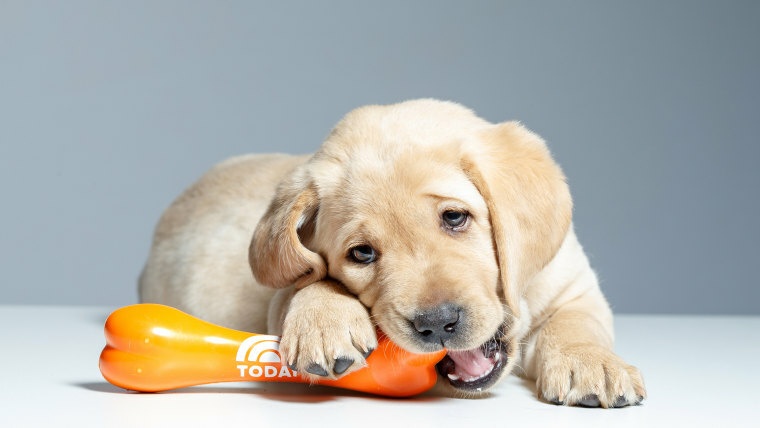 Labradors once again beat out German shepherds for top honors for the fifth straight year, while golden retrievers ranked third. French bulldogs jumped into the fourth spot from No. 6 in 2016, while beagles dropped out of the top five for the first time since 1998.